How To Setup A Dropship Store In 30 Minutes. In this video Sarah from Wholesale Ted walks you through the whole process from start to finish, detailing each step along the way. 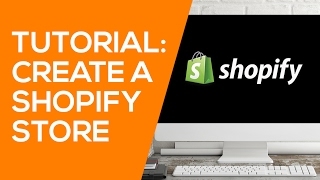 Step 1: How to create Shopify account for free. Step 2: How to install a great theme. Step 3: How to customise the theme. Step 4: How to install Oberlo to automate parts of the process. Step 5: How use Oberlo to find great products to sell. Step 6: How to group products into collections. Step 7: How to customise your setting including free shipping. Step 8: How to create the essential about us and contact pages. Step 9: How to add a custom menu. Step 10: How to add a custom domain name to your site. Step 11: How to make your store live and start making sales. Yes, there is more to it and it may take you longer than 30 minutes, the first time round. The idea here is to show you how easy it really is to setup a dropship store in 30 minutes. And more importantly you need to take action and do it now!